Are you experienced? Prove it! So, you want to hire a magician? Maybe you’re planning a wedding, party or corporate event. You want to provide some entertainment for your guests or clients and a magician seems like a good idea. After all, everyone loves magic, right? But how do you go about it? How do you make sure that they are good at their job and will be able to genuinely amaze people? Most importantly, how much will it cost? If you want to know the easy answers to all of these questions (and more) then read on in this comprehensive guide on how to hire a magician (in 7 easy steps). No time to read this, then why not watch the video instead? Mike explains it all while driving to a wedding! Well, this first step might solve your problem straight away. Do you know someone who has used a magician in the past? Maybe at their wedding, at a work party or some type of corporate function or trade show. Were they impressed by their attitude, their tricks and their approach to entertaining and amazing people? If so your search has come to a very quick end! Nothing beats a personal recommendation from someone who has actually seen a particular magician at work and been suitably impressed. No advertising, marketing or fancy website will beat that! Just make sure that the recommendation is for the appropriate type of magician. If someone says that Crazy Fred astonished everyone at Jimmy’s 10th birthday party then they may not be the best choice to perform at your Black Tie event! So, what do you do if all of your family and friend come up blank and no-one has a personal recommendation for you? Well it is time to turn to the internet! Many years ago you may have been able to find a magician via printed advertising, such as in the “good old Yellow Pages”. However even that once mighty publication has recently stopped printing and, like so many things these days, has moved completely online. You may spot the occasional magician advertising in a magazine, but even then their advert will only direct you to their website. So you may as well just head over to trusty Google! You might think that the best way to hire a magician is via an entertainment agency. However there are very few benefits to this approach. A little research shows that most acts will appear on multiple agencies’ websites and their prices will be much higher than booking direct. An agency makes a profit by charging commission, so if a magician is going to charge £300 then the same person, booked via an agency, may cost you £500 – for exactly the same thing! The agency will also act as a middleman in the whole process, so you don’t get to speak directly with the person you are hiring and therefore you are relying on someone else to check that they are suitable for your event. If an agency can find someone cheap and charge a lot of money for them that will maximise their profit, but leave you paying a fortune for someone who isn’t very good. It’s always best to do it yourself and contact a magician directly – you’ll get the best deal and the best price! So you’ve now found a handful of people who seem to fit your requirements, but how do you know which ones are any good (and which ones aren’t)? After all anyone can set up a website and claim to be brilliant. You need to dig a bit deeper and do a little bit of detective work. Read on! This one is simple. A good magician will be a member of The Magic Circle. That’s all there is to it. The Magic Circle was established over 100 years ago and is probably the world’s top magical society. All of the UK’s top magicians are members and if you get the chance to go to one of their gala events you could easily be rubbing shoulders with Dynamo, Derren Brown and most of the magicians that you’ve seen on TV shows like “Britain’s Got Talent”. The headquarters building in Central London is an astonishing place, with many historic artefacts, a library of rare magical books, a theatre for live performances and a bar area that is always packed with people showing each other their latest tricks. ​Well, they have a strict membership policy and only the best magicians get to join. First you have to be nominated by two existing members. You then have to pass an interview to prove that you are serious about magic and have a good level of ability. Now comes the hard part. You have to perform a 10 minute live show for a panel of Magic Circle experts, who will judge you on technical skill, originality, the ability to combine astonishment with entertainment and lots more. Only if they judge you to be of a high enough standard are you offered the chance to join this exclusive club. It’s an essential rite of passage for every true professional magician and everyone who is in the Magic Circle will mention this fact proudly on their website. So if you’re considering hiring a magician the first thing to look for on their website is that they are a member of The Magic Circle. If they’re not that’s a bad sign and they are much more likely to be an “enthusiastic amateur” rather than a professional. An amateur may be able to do some decent tricks, and they will definitely be cheap to hire, but do you really want them wandering around at your wedding trying to impress people in a half-hearted manner? A professional magician will be able to provide you with proper paperwork such as contracts and invoices and they will definitely be properly insured, which is something that most venues insist on these days. But most importantly a professional magician makes their living by performing magic and will have worked at hundreds, maybe thousands, of events. They know how to do a great job; otherwise they wouldn’t be able to pay the mortgage! Your guests deserve the best, so make sure to hire a professional magician who is a member of The Magic Circle and who will be truly astonishing! Right, you’ve got your list down to a handful of local magicians who are all in the Magic Circle. Great! Now you need to take things to the next step – how much experience do they have and how can they prove it? Maybe they joined the Magic Circle a few weeks ago and have only performed at a handful of events – wouldn’t it be better to hire someone who had done magic professionally for a number of years and really knew the ropes? Clearly yes, but how can you tell? Photos! What about reviews? These can be a useful guide to someone’s quality, but a quick bit of research shows that magicians tend to have glowing five star reviews across the board. Why is that, is it because they are all brilliant? Well no, it’s because they only ask someone to give them a review if they know it’s going to be excellent. In particular reviews on Facebook tend to come from family and friends and, unsurprisingly, are all marvellous! You can put more trust in reviews on agency website and Google itself as these are independently verified and therefore much more valuable. You may also see the occasional (often anonymous) one star reviews which have been posted by rival magicians, to bring down someone’s rating! So it’s best to take most reviews with a pinch of salt and trust your own judgement. Style is a little hard to pin down and very much down to your personal taste. Every magician has a different personality and performance style which will come through in their photos, videos and the way they present themselves on their website. Maybe they are a “cheeky chappie” who is more of a comedian who does a few card tricks, rather than a magician who throws in a few funny lines here and there. Maybe they have a “dark and mysterious” persona and take the magic all very seriously, which is fine in some circumstances but probably not the best choice if you’re organizing a 21st birthday party or hen night! Maybe they are super smart and elegant or perhaps they’re more jeans and t-shirt. You’ll pick this up from their website; just go for someone who you think will fit in best with your guests. Their attitude and professionalism will come through once you decide to get in contact. Let’s say you’ve found a magician who looks ideal for your event. You send them an email and wait excitedly to hear back from them. If they are a true professional who does magic for a living then you could expect them to reply within a few hours, maybe just a few minutes if you’re lucky. That’s a good sign. If they don’t get back to you for a couple of days then what does that tell you? An amateur may only check their email every now and then and sending you some information won’t be their top priority, so again this is a warning sign. The magician’s reply itself will tell you a lot. You would expect it to be friendly, helpful, comprehensive and informative and include details about their magic, their experience, links to their website and videos, an explanation of their pricing structure and the booking process. They should be very pleased that you are considering hiring them and happy to send you lots of information, so if you receive a one-line email saying “Yes I’m available that day, it costs £50” then it’s probably worth giving them a miss! While we’re on the subject of email communication there is one important thing to remember. You’re first contact to the magician should give them enough information to allow them to send you an appropriate response and an accurate quote. You would be amazed how many people send a one line email saying “How much would you charge to do some magic at my party?” with no further details! This sort of things happens all the time! There just isn’t enough information to go on. When is the party, WHERE is the party, how many guests will be there and so on. All of these factors determine whether the magician is available and how much they will charge (see below for more details). Without a date they can’t tell if they are already working that day or have some other family commitment that restricts their availability. Without a location they can’t give any kind of accurate price – someone in Cornwall probably won’t want to work at a party in Aberdeen! The more information that you can provide the more likely the magician will be able to give you an accurate and comprehensive response. So be sure to think about that when emailing them or completing a CONTACT FORM. When I first started doing magic, many years ago, I would often go to local pubs and do free magic for people. It was a great way to learn the trade and develop new tricks and routines. If people were friendly and enjoying it all I would then ask them a hypothetical questions. “If you were going to hire a magician, how much do you think it would cost?” I was genuinely interested to see how people would respond and their answers were startling because they were SO varied. Some people would see a magician as any other normal job and thought the going rate might be £10/hour. Others would say £100, £200, £500 or more – the range of answers was huge! 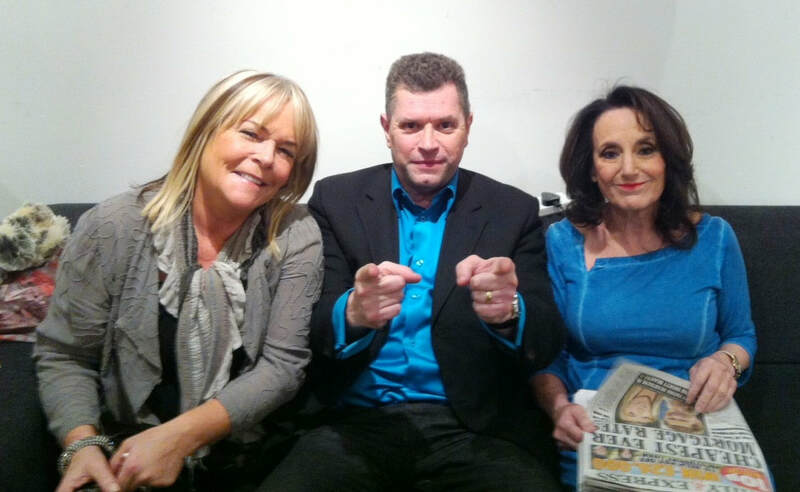 I met people who had previously hired a magician and some of them had paid a small amount and ended up disappointed because they hadn’t done their research and had ended up with someone who was a bit rubbish, while others had paid a fortune and been delighted because the magician had blown everyone away and their guests had talked about it for months afterwards. So what does this tell us? Well, prices can vary hugely, but there are a few key points to consider. ​Professional magicians like to keep busy and (generally) love their job. They would rather be out performing than sitting at home. However some times of the year are inevitably busier than others. July and August are peak times for weddings and December, of course, is packed with Christmas parties. These dates are very much in demand and a magician is likely to charge a premium for them. However the flip side is that months like February and November tend to be much quieter and it would therefore be reasonable to expect a lower price then. How long do you need the magician? If you’re having a small dinner party for six people then 30 minutes may be sufficient. If you’re having a wedding with 100 guests then 90 minutes to two hours would be about right. If you’re holding a huge party or corporate event with over 200 people then two to three hours would be suitable. So make sure to let the magician know some details about your event and the number of guests you are expecting so they can give you an appropriate quote. It’s worth listening to their recommendation as they will have performed at hundreds of events and therefore will have a good idea of what works best. An experienced magician may have been to over a thousand weddings, so if you ask for five hours of magic and they suggest that two hours would be more suitable, take their advice! Where is your event being held? As mentioned above it is a good idea to hire a magician who is local and therefore avoid having to pay any travel expenses, but what if the person you are interested in lives miles away? Well, make sure that you mention this in your email so they can give you an accurate price. A little research shows that most people will be happy to drive for up to an hour before adding on some additional cost, so you can take that into account. Most events have similar requirements, but yours may include something special, in which case make this clear to the magician so they can take it into account. For example, if your party is black tie event please make sure you tell them so they turn up suitably dressed! If the party is for someone’s birthday or has a guest of honour it’s worth highlighting this so the magician can do a special personalized trick for this person. If the venue is difficult to find it is very helpful to mention this. Is it up a farm track that is not clearly signposted? Is the postcode misleading on satnavs? Is the venue in the middle of a “residents only” parking zone? Is the party at a house with a name, rather than a number, on a very long dimly lit road? Any information will be gratefully received! The quote that you receive may be ideal and fit with your budget, in which case that’s great. However if it’s a little out of your range it’s always worth haggling a little to see if you can get it down. It may be worth offering something in return for a discount, there’s nothing to lose! For example there is very likely to be a professional photographer at a wedding and they will be taking lots of pictures of the magician at work amazing your guests. Magicians love to have good quality photos of them “in action” so you could offer to send some of these over after the wedding, and this is a great bargaining chip when you’re looking for a price discount. If the event if for a charity then certainly mention that as you should get a special deal (and they may even do it for free). Alternatively if you run a pub, club or restaurant and are looking for a magician to perform on a regular basis then this is a very important piece of information. Their price for a one-off event is likely to be very different to that for a regular monthly slot. If you're hiring a professional magician they will be very happy to provide you with a contract, invoice and a copy of their PLI (performance liability insurance) certificate, which is something that most venues insist on these days. If you ask for some paperwork and they’re hesitant that’s definitely a bad sign! When it comes to payment you can expect to be offered a number of alternatives. If they only take cash then that’s a bit of a worry! Payment by cheque used to be very common, but is definitely on the decrease these days. The most common method is by bank transfer, directly into their account. If you do this make sure to put a reference on the transaction so they can identify it and ask for a receipt or confirmation that the money has gone through. Many magicians will now accept payment via PayPal which is a very quick, safe and reliable method. Note that you can pay in this way using a bank card, even if you don’t actually have a PayPal account. An increasing number of people can take payment directly from credit and debit cards, but this method may not be offered as it requires someone to have purchased the appropriate card machine and to pay a significant fee on each transaction. So you now know how to hire a magician. 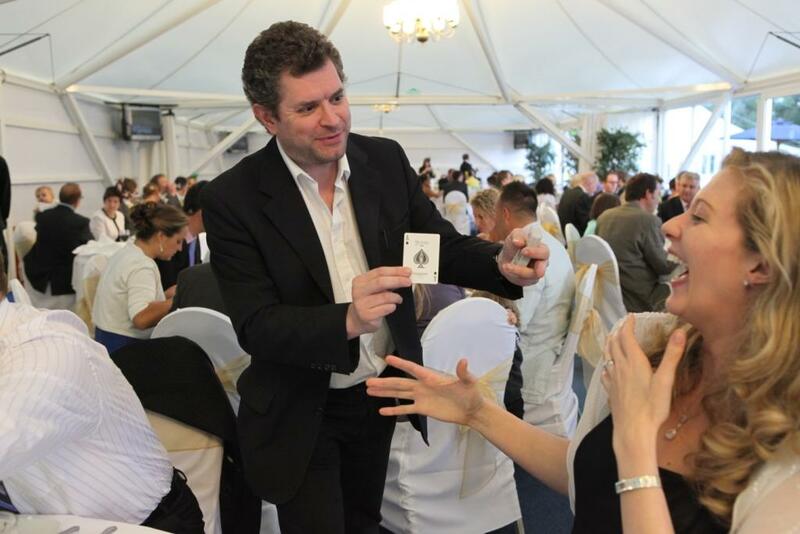 If you've followed these steps you will have found a great magician, checked that they’re suitable for your event, given them all of the details, agreed a price, sorted out the payment and now it’s time to enjoy the magic and watch your guests being astonished and amazed. Congratulations - everyone is going to love it!